Replace a damaged or corroded lightning port, headphone jack, internal home button switch, or a torn main flex cable in a 5th generation iPod Touch. Apple unveiled a completely new type of device with the iPod Touch. Part iPod and part iPhone, it features a multitouch screen with a graphical user interface and Wi-Fi internet capability. Need to repair your Touch? Common troublespots are the front panel (with multitouch sensors), display, and battery. 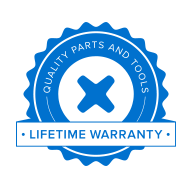 We offer parts in our store to help you fix it yourself!